The HWA Board and the Bram Stoker Awards® Committee congratulate all those appearing on these Preliminary Ballots. Notes about the voting process will appear after the ballot listing. 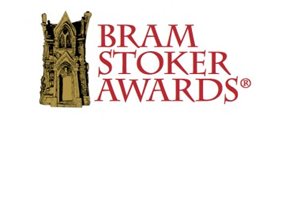 Please note that works that make the Preliminary Ballot are NOT “Bram Stoker Award nominees,” nor are works that bypass the Preliminary Ballot and move directly to the Final Ballot (i.e., in cases where there are five or fewer works on the ballot in a category); authors, editors, publishers, and others should not refer to any work appearing on these ballots as such – doing so is a severe breach of etiquette – Active and Lifetime (voting) members tend to notice such breaches and may consider them when determining which works to vote for on the Ballot. Rule VIIi contains sanctions for members who willfully disregard this requirement. If your work appears on the ballot (i.e., you are the author, agent, editor, publisher, or publicist) and you wish to provide a Link allowing Voting Members to read the work, we will issue a SPECIAL PRELIMINARY BALLOT INTERNET MAILER on or about January 27. Please email the Internet Mailer editor at imailer@horror.org with the details of your link as soon as you can, but no later than January 26 (links will not be accepted for this Special IM after January 26). You may offer to send electronic copies, provide reading copies on a website, or provide physical copies. Anyone validly representing a work appearing on the Preliminary Ballot may submit via this method, whether or not they are HWA members (this includes the author, agent, editor, publisher, or publicist of the work). Do NOT spam Voting Members; this is a severe breach of etiquette – Active and Lifetime (voting) members tend to notice such breaches and may consider them when determining which works to vote for on the Ballot. You may also post the fact that your work is available to be read for Bram Stoker Award consideration ONCE and only once here: http://horrorwritersassociation.org/login-forum/index.php?board=12.0 (Bram Stoker Eligible Work). If you had already posted your work here prior to the announcement of the Preliminary Ballot you ARE entitled to post it once more. Note: Only members may post at this Forum but members are encouraged to post on behalf of non-members who may appear on the Ballot. January 23: A Special Internet Mailer will be sent to Lifetime and Active (Voting) Members showing any links that are available for them to read works on the Preliminary Ballot. There will no second Mailer for the Preliminary Ballot so those representing works on the Preliminary Ballot must have their links in to imailer@horror.org no later than January 22. February 1: The Stoker Preliminary ballot will be dispatched – please note only Active and Lifetime Members can vote. If you are an Active or Lifetime Member and do NOT receive your electronic Ballot link by February 2, please first check your spam/junk mail filter and then email: admin@horror.org . Note that Ballots are sent to the same email address as this Internet Mailer. It is the responsibility of Members to keep their email address up to date by advising the administrator of any changes at admin@horror.org. Late Ballots cannot be accepted under any circumstances. February 15: The Stoker Preliminary ballot closes at midnight U.S. Pacific Time. Any ballots received after this time will be discarded. February 23: The Stoker nominees announced. Another Internet Mailer will be sent on February 23 describing the Bram Stoker Awards Final Ballot Process.